What casino games can be played for real money? So you love bingo, but what other casino games can you play for money? Whilst many online casino games can be played for free, you are never going to win any real money playing them. That doesn’t make them useless. You can learn a lot about how a game is played, and can discover the best way to approach wagering on a game, by playing free games. However, that isn’t what you decided to play online casino games for, is it? Landing a massive win by playing real money games is what you really want. But what games are at your disposal, and what should you play? To answers those questions, we need to take a look at the most commonly offered online casino games. By far the most commonly played online casino games, are online slots. Slots can be found in every online casino, and they come in many different shapes, themes, styles and formats. Online slots will generally contain three reels or five reels, with the two types known respectively as classic slots, and video slots. Three reeled classic slots tend to offer no special features, and just a single payline of gameplay. Five reeled video slots will often offer special features such as wilds and scatters, as well as bonus rounds (such as free spins). Slots can also be broken down into two more categories, the non-progressive and progressive jackpot games. Non-progressive slots offer a fixed jackpot, whilst progressive jackpots do not have a limit on how high they can become, as they keep getting larger with every wager staked. It is progressive jackpot slots that provide the big real money prizes. 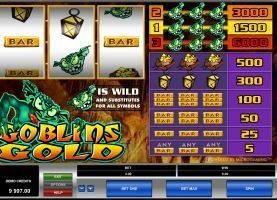 Online slots are incredibly common, and every online casino will offer at least a dozen or so games, with some of the larger casinos offering over a hundred, sometimes many more. The minimum and maximum wagers in slots vary depending on the number of paylines the slot has, and the kind of jackpot you are trying to win. Classic slots and video slots with up to 50 paylines can often be played for stakes of 0.01 per line, per spin. Slots which contain hundreds of often non-adjustable paylines, can cost from 0.25 up to 1.00 per spin. The maximum wagers vary greatly from slot to slot, some can rise as high as 5,000.00 per spin, though this is rare. Slots (in particular progressive jackpot slots), represent your greatest chance of winning incredibly vast sums of real money. Almost everybody knows how to play blackjack. Like most casino games, online blackjack can come in a wide variety of different games too. Take pontoon for instance, or Double Exposure. Both are blackjack variants. The rules generally remain the same for the most part, in all blackjack games. To win, you are required to beat the dealer’s hand, preferably by landing a 21. Blackjack games are popular in virtually every online casino domain, and can be found everywhere. Blackjack is never going to see you win incredibly vast sums of cash, although you can still win pretty decent winnings, if you happen to go on something of a run. Blackjack is known as a table game or card game in most online casinos, as it is played against the dealer. It is also one of a number of games that can be played as a live dealer game (via a video stream) or as a mobile casino games. The minimum wager in most blackjack games is 1.00 per hand, although some low and high-roller games can allow hands costing considerably more or slightly less than that. Much like blackjack, roulette is considered a classic and traditional casino game. Also, like other traditional casino games, there are a number of variants out there to expand the style of gameplay you can enjoy. Mini roulette, American roulette and European roulette are such variants. Roulette is of course played on a wheel, where the player can use a number of different bets to successfully predict where the ball will land, after the wheel has stopped spinning. If the ball lands on zero, the player generally loses their bet, except in some variants, where for example, they may get half of it back. In European roulette, there is only one zero pocket, whilst in American roulette, there are two. This gives players slightly better odds of winning, if they play European roulette. Mini-roulette of course, is played on a much smaller roulette wheel, with far fewer numbers. The amount of real money you can win playing roulette depends on the bets you make. Outside bets (such as those on reds/blacks or evens/odds) pay considerably less than inside bets (such as those based on a single number, or groups of numbers). Roulette is hugely popular and can be found in virtually all online casinos. Generally speaking, the wagering scale for roulette is quite broad. There are both standard roller roulette games on the net, and there are also several high roller roulette games, for big spenders. You can win a lot playing roulette, though you’ll need bold bets to do so, and bold bets of course, have a lessened probability of success. Roulette too, can be found as a live dealer or mobile casino game. A lot of people find baccarat difficult to play, even though is actually rather simple. Also known as Punto Banco, baccarat is a very old casino game. Basically, the player is trying to get as close to 9 as possible, whilst simultaneously beating the dealer’s own hand. In baccarat, the face cards count as zeroes, and anything over 9 doesn’t count. For instance, a King and 5 hand would give you fifteen, so 10 is subtracted to give you five. If you had an 8 and a 4, you would have 12. However, that is over 9, so ten is subtracted to give you 2. Whoever has the best hand (out of the dealer and player) wins. Baccarat does not pay out large sums of money. Instead (like blackjack), if you want a big win, you’ll need to bet big, or to go on something of a run of good fortune. Baccarat is not as commonly offered as blackjack or roulette, though it is widespread enough to find easily. Baccarat is also one of the few games that can be played as a live dealer casino title. Players wagering on baccarat will find both standard and high roller versions available, depending on the casino they are in. Believe it or not, this very traditional land-based casino games, is not very common! Craps is a dice-based game, where players become “the shooter”, to roll dice out on the craps table. Pay-outs are based on what numbers are revealed on the dice. Like roulette, craps tables offer a number of bets, with terminology that you will need to learn, such as the pass line, field bets and come bets. Generally, there aren’t many variants of this game, with only standard craps available in most casinos. It is almost never found as a live dealer or mobile casino game, either. Wagering on craps can cost as little as 1.00 per bet, and of course, if you place a bold bet, you can win a decent amount of real money. Craps offers a fair chance of success, and is slightly easier to win than roulette, although like we’ve said, it isn’t offered at casinos anywhere near as frequently as roulette. Call it Casino Hold ‘em if you will; this game isn’t actually that dissimilar to Texas Hold ‘em. So, any player that has ever sat down at a Texas Hold ‘em table should be more than familiar with Casino Hold ‘em poker. This is a typical casino poker game, and it can come in several different variants and formats. Like most poker games. The standard poker hands are adopted and pay-outs are fair, though not exactly extravagant. Casino Hold ’em can be played for real money, although if you don’t know how to play poker, it is strongly advised that you learn by playing the game for free first. Casino Hold ‘em and other variants like it are commonly found in online casinos all across the internet. Whilst they are a decent game to win money on, your only chance of doing so is if you know the game inside out, and you know what you are doing. When it comes to winning real money on Casino Hold ‘em, practice makes perfect! It is also worth mentioning that Casino Hold ‘em Poker can also see you sitting down with other gamers to play. It can also be played as a live dealer game, and a mobile casino game. Video poker offers a great opportunity for players to win good portions of real cash playing poker. What makes video poker so unique, is that you are not taking on other players, nor are you taking on the dealer. In video poker, your only job is to build the best poker hand that you possibly can. You are dealt five cards and you are allowed one exchange of cards, in most video poker games. The hand you end up with is then judged against an on-screen pay-table, to determine your winnings. The better your hand, the better the pay-outs, which in video poker can rise quite high. Video poker can be played for as little as 0.25 per hand in some games. There are also a number of video poker variants out there. In fact, it is one of the real money casino games that has the most variants. Some video poker games offer extra features such as wild cards, or multiple hands. The more hands you have, the higher your stake, but the better chance you have of winning. Similarly, the inclusion of wilds might see the lower poker hands pay nothing, but you have a better chance of landing one of the bigger paying hands. Video poker can be played as a mobile casino game too, and can be found in virtually all online casino sites. Let It Ride is one of the many poker variants that you can play in online casinos for real money. Let It Ride is a variant of five card poker. A player uses two community cards to add to their three card hand, to form a five card winning hand. The game moves much slower than other poker games, so you can take your time. Players also have the option of reducing their wagers twice in this game, and if they opt not to, they are said to be “letting it ride”. Pay-outs in Let It Ride are based on a pay-table, and if one were to land a Royal Flush, they could see themselves win as much as 1,000 to 1 against their stake. This makes Let It Ride one of the more impressive poker variants in online casinos. It is commonly offered, although it may also go by other names such as Let Them Ride or Let ‘em Ride. This is mostly due to copyright issues, though the structure of the games are virtually the same! Three card poker is another title that players can win fair pay-outs on. You are never going to end up a millionaire playing three card poker, but real money wins of decent sizes are possible. A straight flush for instance (which is the highest pay-out in the game), will see you land 40-1 odds in most cases. What you essentially have here, is basic poker although using on three cards. Naturally, certain hands are therefore eliminated from the pay-table, due to the inability to obtain them. Two pairs are scrapped, as are a full houses, and four of a kinds. Three card poker is basic enough for most players to grasp, and is found commonly enough in most casinos. Because of the degree of simplicity that it carries with it, a lot of first time poker players prefer to play this elementary poker game. Three card poker can almost never be played as a mobile casino game and is not available as a live dealer casino game.